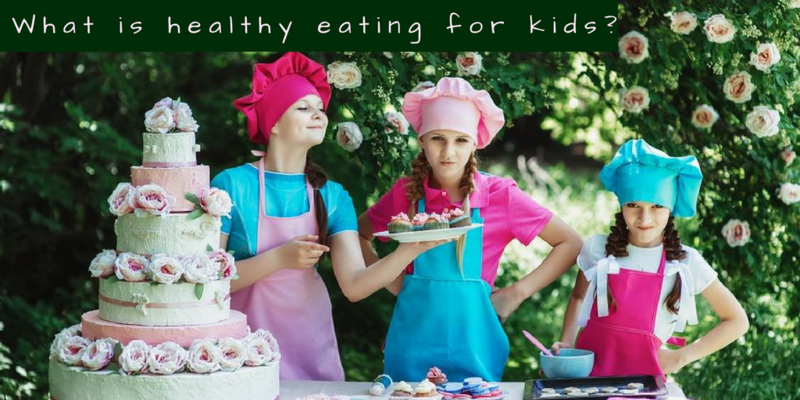 What is Healthy Eating for Kids? Before I read this hard-hitting post by Ariel Harris, I thought my children were pretty healthy eaters. After all, they both enjoy fresh fruit and vegetables and eat fruit and veg every/most days. Right? But…What is Healthy Eating for Kids? Is it being sure to include the good stuff or is it eliminating the bad stuff? Or is it somewhere in-between? You decide. Personally, I think it’s time for me to look a lot deeper into this question – not just for my kids, but for me too. First, become more conscious of what I’m feeding my body, then teach by example. When my kids were very little, I was not a mainstream mom. I was one of those moms that did not allow sugar, food dye, or processed foods. This at the time, so many, umm, many, years ago, was really novel. Okay, call me a hippie mama. And of course, once my kids started school, the concept of regulating their foods, became shall we say, a bit more problematic. So, when my son was invited to his first classmate’s birthday party, I had my antenna up. I had this sense that something might just change on this day. It would be the first time he would taste sugar and ingest food dye! And wow, was I right. I had somehow naively hoped that the cake would not attract him. But of course, my head was in the clouds. Not only did the cake catch his eye, but also the chocolate candy. And of course, by the handfuls! All of a sudden, I think I saw a whirlwind of something that looked like my son. But of course, I could not actually say for sure. He was running at such a high speed! In constant, agitating, motion. He was completely out of control. I mean completely. Running at full speed, chattering so fast, it was not possible to understand him, and he seemed like he was jumping out of his skin. On one hand it was, forgive me for saying this, hysterical to watch, how could one person have this much continued energy? It was like watching someone on fast forward. On the other hand, I was truly frantic. How could I help him? He was experiencing a sugar rush of such a high that I had no idea of what to do to defuse his reaction. And he had red, blue and green food dye. The only thing I could do is take him out of the situation. Sweeping him into the car, I was really hoping that he could handle the short car ride being contained. I got him home, put him in a hot bath and then had him run around outside. Hoping he would sweat it out. Trying to hold him to comfort him did not seem like a viable option. He was so unaccustomed to this sensation it seemed to both excite and worry him. I was truly trying not to cry and cause him more alarm. I just kept reassuring him that this was a chemical reaction to the sugar and food dye. That it would end soon. And that he was safe. I gave him water to help flush his system. But I knew it was just a waiting game until the sugar ran its course. And I have to tell you that to this day many decades later, I still cringe at the thought of what that must have felt like on such a young body. So many studies have been conducted on how food coloring affects the body. And now we know what sugar is doing to our entire organ system. Because we are what we eat. Yup, whether we choose to see it or not. I am so grateful that the concept of conscious eating is finally making its way into the mainstream. And as working mothers, at home or at an office, we are always looking for ways to make food that is healthy and simple to prepare. The dilemma is also getting our kids to eat foods that are in our body’s best interest. But how often do we truly think about if we are feeding not just bodies but also our souls? We can create the pathway to a healthy and loving, relationship with food that is in itself sacred and honoring. It is just a matter of our committing to knowing we want our kids to be interactive in their own wellbeing. I became an even stauncher proponent of foods that nourish. Whole foods. Because I know we have the possibility to avoid the heart disease and diabetes dilemma that is running rampant in our world right now. When I was confronted with autoimmune problems, and cancer, I instantly knew that it was food that would heal me at the cellular level. And food yet again became my ally. I was able to witness the changes in my body. So I knew they worked and could work for our families. I am suggesting that although, we have been inundated that sugary, salty, fried foods are the ones that taste the best, in all reality we know we have been fed a huge disservice for our lives and our health. It has only benefited the huge commercial food industrial complex. I have been so heartened that awareness of the toxicity of our foods has become a more global problem. We are so aware of how pesticides are wreaking havoc on our bodies and the earth. And that food is no longer something we just eat without conscious awareness of its origins. We are more willing to see food as our healer, not just as filler. So to all the parents out there that are really being thoughtful about each morsel that enters our kids’ bodies, I am sending huge kudos. We are growing a new way to see and honor our food. And there are so many simple ways to quickly make good whole foods. From avocado toast to ants on a log. Snacks and lunch boxes can be filled with fun and delicious foods. To me serving food is a gift of love. I also like the idea that mealtimes when we are all together, are used for group cooking. Even at a really early age, encourage each child to participate. Don’t worry if it takes longer, or is much messier. It is so worth it. We are creating family memories and fun. I truly believe that when we enter into a contract about the food we are choosing to use, we are building a new paradigm. On one hand, creating self-sufficient kids that are knowing how to feed themselves well, and then also creating food that provides love and healing nourishment for the body and soul! Imagine this continuing into following generations and we break the cycle of dis-ease, and instead create food that heals and soothes! How do you feel about your connection to food? Do you include your kids when you cook? 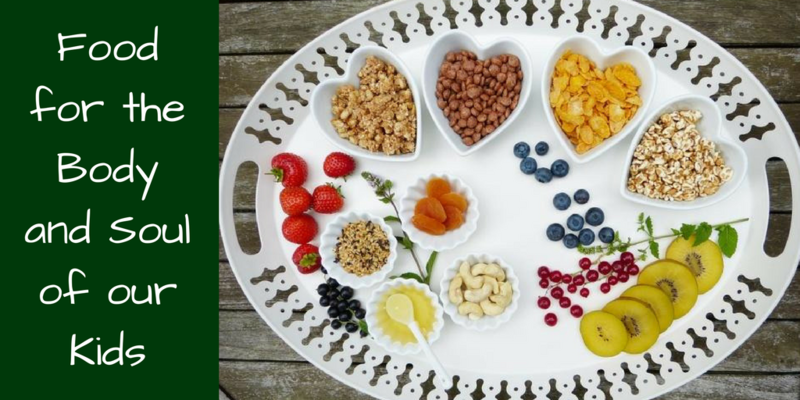 What do you consider healthy food? Do you have or are you thinking of growing your own garden? Do you use only organic foods? Do you talk about with your kids where the food comes from? Has your child had the experience of seeing food grow? How do you feel when you eat sugar or processed foods? Are we all willing to interact with our food consumption as an act of sacred consciousness? And if so, what does that look like to you? 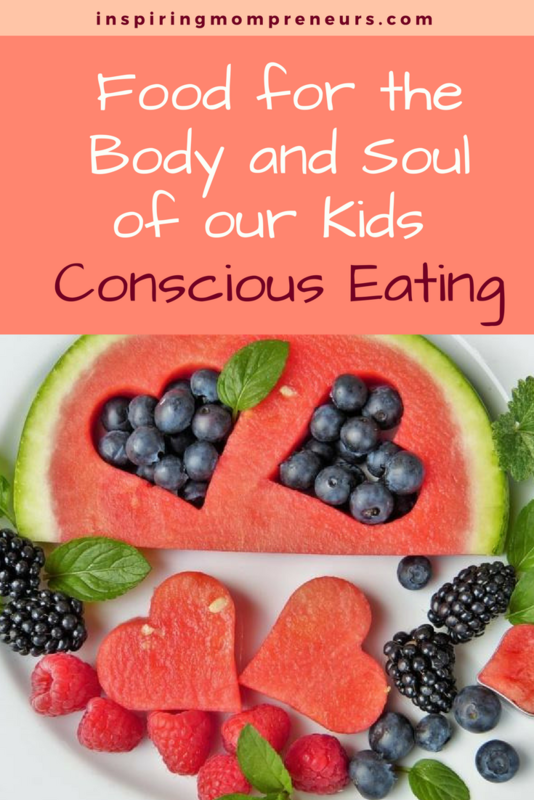 Have you started having conscious eating conversations with your kids? Such as, are you really hungry or just bored? Are you wanting something to eat that gives you energy or soothing? 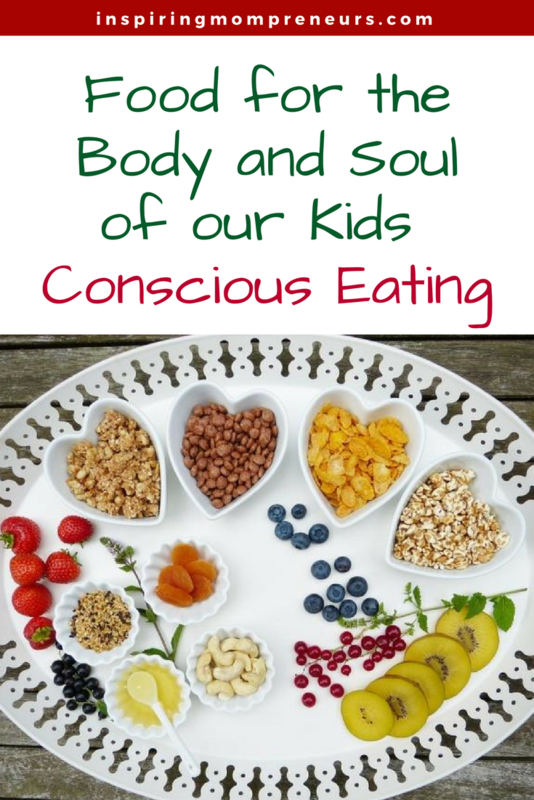 I look forward to hearing how your sense of conscious eating is impacting your family. May each spoonful that you bring to your body, feed your body, soul and heart. P.S. 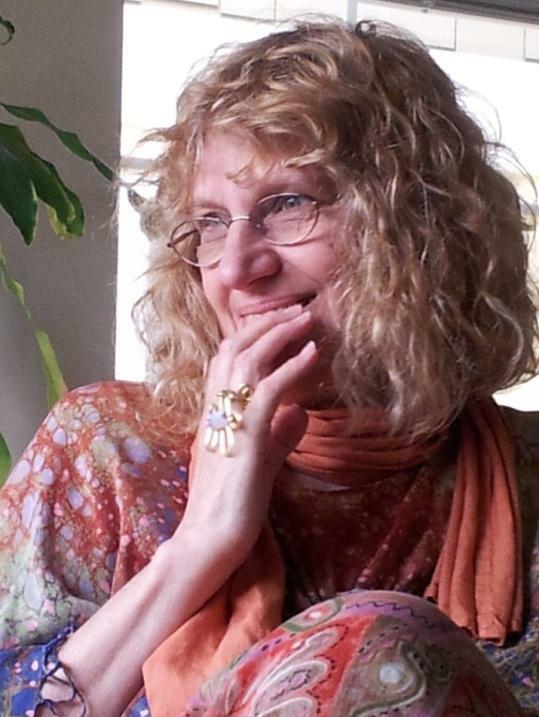 And don’t miss the second post in our Ariel’s Series on Conscious Living. This post is about Choosing Conscious Balance and it also speaks straight to the heart of the matter. A Healthy You: What is Mindfulness Eating and What Are the Benefits? Yvette also left an awesome comment below. Thank you so much for stopping by and commenting, Yvette. It is really amazing how we are what we eat. And when we realize that we are in total control of our health, wow, that is truly powerful. I think that now is the time to prepare for our future health of our kids and grandgifts. We can start new ways of respecting our food. From the ground that it came from, to the way we cook it. No longer accepting that added fat and sugar is how food should taste. Fast food is really an oxymoron isn’t it? For indeed it is fast, but for some of these products, there is no real food in it! It is just as fast to create a salad or a wrap or a smoothie and know that we are putting love and health, and positive intention into our bodies. It is really about us deciding we matter. Our health matters, the future of our kids and grandgifts matter. We can be the trailblazers here. Lauren and I have had so much fun doing this series. I am truly indebted to Lauren for suggesting the concept. It was her idea. She is truly amazing, as you can see from her site. I am so glad you are enjoying them so far .Do let me know what you think of the other articles. So many thanks for stopping by and chatting. It is also a conundrum to me that we do not always choose to see that feeding our body is just as vital as feeding our brains. I have this hope that if we start offering up options a sea of change just might happen. For instance, at your school do you have a community garden? That has been a really successful way of children seeing the process of life growing in front of their eyes. There is a new respect for food and its energy. It also teaches life skills of process and nurturing. But mostly, kids then get to see how eating well feels good. And somewhere along the line, I have this hope that we will all rise to say no to the food industrial complex that fosters greed instead of health. Perhaps at your school there might be a letter writing campaign to some of these companies asking them to rethink their products for the sake of their future customers? Imagine if it came from the mouths of babes, that no longer can companies not take responsibility for creating ill health. You know best as an educator, what it takes to make change. And somehow just standing by and watching is not the answer is it? I am so happy you cook with your children. That to me is how we truly make change. We build memories and fun around eating healthy. There is nothing more potent than that! I am sure you savor those moments! I so look forward to hearing more from you. Lauren and Ariel, thanks so much for your insightful post. The effects of refined sugar are not measurable. And it is more difficult to explain how the food industry is selling us that stuff as healthy stuff. I mean there are so many products in the market that have all the preservatives, full of pesticides, food colorings, etc., and always with some exciting words on them to make us believe that it really doesn’t matter. But, oh how much it matters. We definitely are what we eat. I couldn’t agree more with you on that. How we feel, our energy levels, even mental health (in some cases) is defined by our food intake. What I have been pondering about, as a principal, how is it that so many parents let their children have all that stuff freely (as much as they please and whenever they please)? In a world full of non healthy foods, it will almost be impossible to not have children eat some of it here and there, but we should not have it openly at home, if at all. In my case, I have small children, I simply do not bring that stuff into the house, in order to not get the children used to having sweets always. Preparing healthy food together with children is so much fun (and so much mess – but who cares). We connect to each other, have fun, and kids learn about preparing healthy whole foods. We do it with our children regularly. 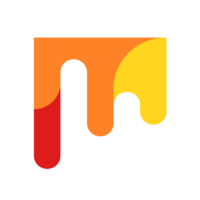 I loved your post! Thank you so much for sharing. Hi Oscar, Thanks so much for your positive response. I am guilty of having sweets in the house but you are quite right, that is something I must change if I’m going to teach my children Ariel’s principles of conscious eating. I will also make sure to notify Ariel of you comment. Wow! What an amazing article! Until I read this, I had not pondered the subject so deeply. My own children are grown now, but the grandchildren and, yes, the great grandchildren believe it or not, are starting to be born into our family. The amount of preservatives in the foods we consume is certainly astounding and the next generations need to know about all of this to be more aware. This article should definitely be read by parents everywhere so they can be more conscious of what they are feeding their children. Like this article vividly points out, it’s not just the ingredients of food, but also the dyes that affect our bodies. It is incredibly important to have these conversations with children so they can be more conscious of what is being consumed. People ate clearly more aware of these things now more than ever before because of articles just like this – and it is needed. We see more and more news reports of obesity statistics in the U.S. and it is mainly because of the foods we consume. The fast foods, the quick meals that have all the preservatives because parents are so on-the-go now…it is taking its toll on our health. Thank you so much for this useful information. 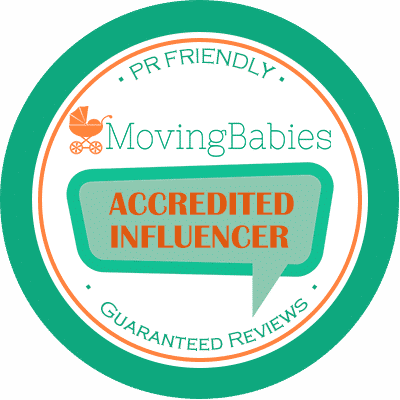 Will you be writing more articles together? What an awesome team you make. Keep up the great work! Thank You for your awesome comment, Yvette. Much appreciated.